Conduct your own robbery investigation in this quirky hand-drawn world. Bjorn Thonen, a slob of an antique dealer living in Paris, is robbed one night after coming home intoxicated. Forced to conduct his own investigation with the help of his neighbor Sandra, he ends up involved in a murky, mysterious affair. Will these unlikely heroes be able to rise up and discover ancient secrets? 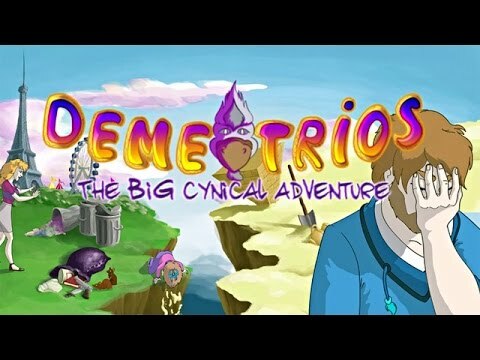 Featuring a long varied adventure, beautiful hand-drawn art and over 15,000 lines of dialog, Demetrios is a quirky adventure packed with tons of humor.